Managing homework should not be a complicated task either for students or even adults. You need to establish proper homework policies and file arrangement agenda so that everything can be managed well. It is just a matter of managing time and is perhaps the reason why students and adults regularly ignore the importance of planning and scheduling the homework assigned or planned. 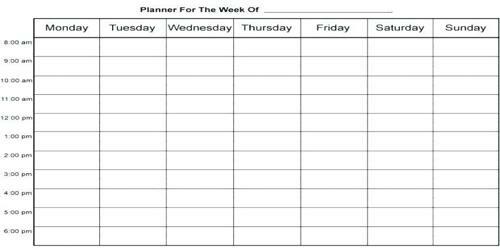 Preparing the homework agenda will depend upon the individual who is taking the responsibility. The task will be easier for students who may receive a set of assignments for the entire week from the educational institution they are studying in. You need to keep homework on the agenda and then the agenda will make it easy for you to complete your homework without confusion. Things will be slightly complicated for adults who may be working and also managing the home simultaneously. Adults may need to keep a closer watch on the homework agenda they prepare after considering their everyday schedule and unexpected plans which may creep up. Adults will need to be flexible with their agenda even as they do not have the liberty to do away with one. Students will have an easier time deciding when the homework agenda should be prepared because they have fewer responsibilities as compared to adults. When a kid comes home with too many homework assignments, it gets really tough to keep a tab on each work, if you are not organized enough. They just need to make a list of their everyday activities and integrate them with the key assignments allotted by the school. They can begin preparing the weekly agenda immediately after they have accumulated all the information they need. Adults that are also involved in a profession will have to divide time between the home and office and will, therefore, need to prepare their homework agenda according to their schedule. Having an agenda for the morning and the evening will make it easier for adults to manage their time by ensuring they do not forget anything needed by the family. A homework agenda for students can be prepared by their parents if the child is not attentive to this task. Homework is always a task of great confusion for students. Especially when homework is not properly organized, it becomes all the more complicated. Alternatively, they can also be taught to prepare the homework agenda themselves because they would be better informed about the kind of tasks they need to complete for the day and the week. Homework of elementary schools is never very complicated but it is always very puzzling to handle without proper management. On the other hand, adults must assume the responsibility of preparing the agenda themselves by keeping a note of the things that need to be accomplished during the day. The only option adults would have for preparing their homework agenda would be to enlist the help of their partners. Therefore it can be conclusively mentioned that the homework agenda must be prepared either by the individual responsible or a close one.